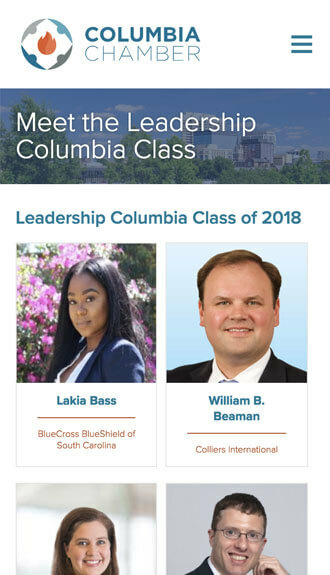 The Columbia Chamber of Commerce provides a unified voice for businesses in the Midlands, promoting an environment where businesses can flourish. 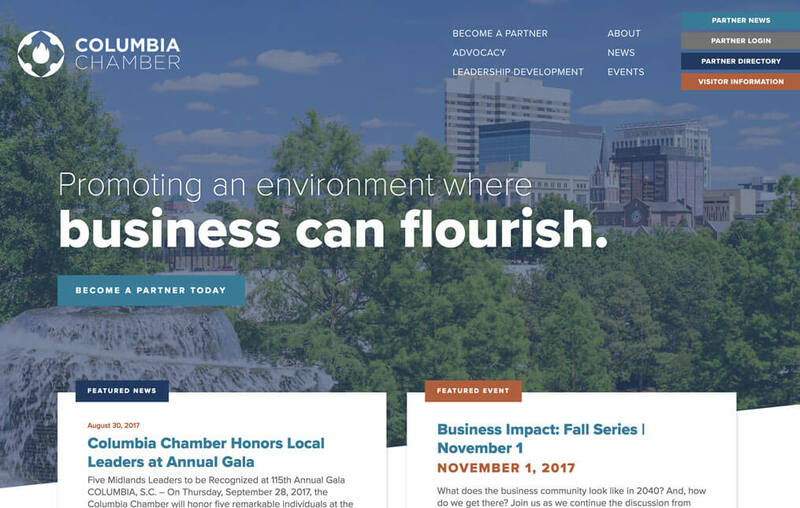 In order to connect with its 1,100+ partners and the greater community at large, the Chamber’s new website clearly highlights the role of the Chamber and provides quick and easy access to upcoming events and the latest news. 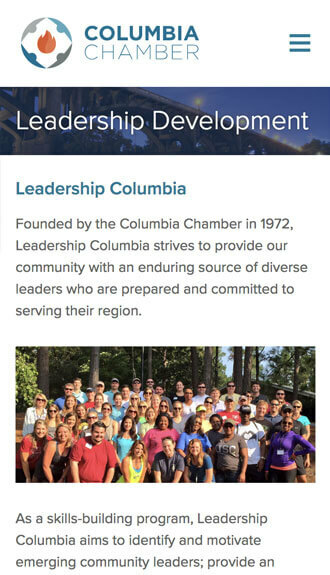 A thoughtful content architecture draws users to engage with the Chamber’s key initiatives including advocacy and leadership development. 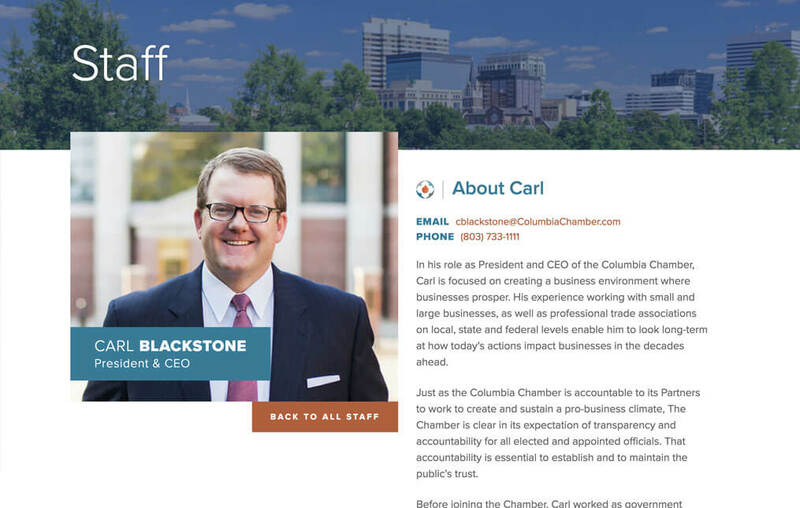 A full directory of the Chamber’s partners and their business information can be easily accessed. 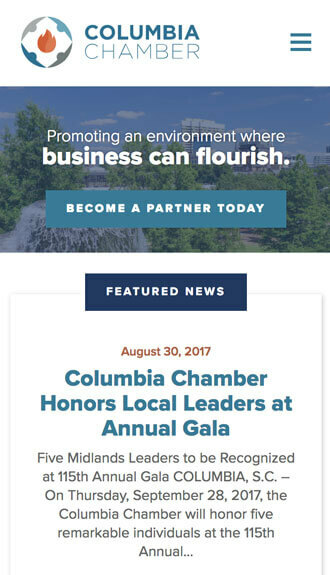 Furthermore, testimonials from Chamber partners throughout the site reinforce the Chamber’s impact in the community. What an incredibly talented group. 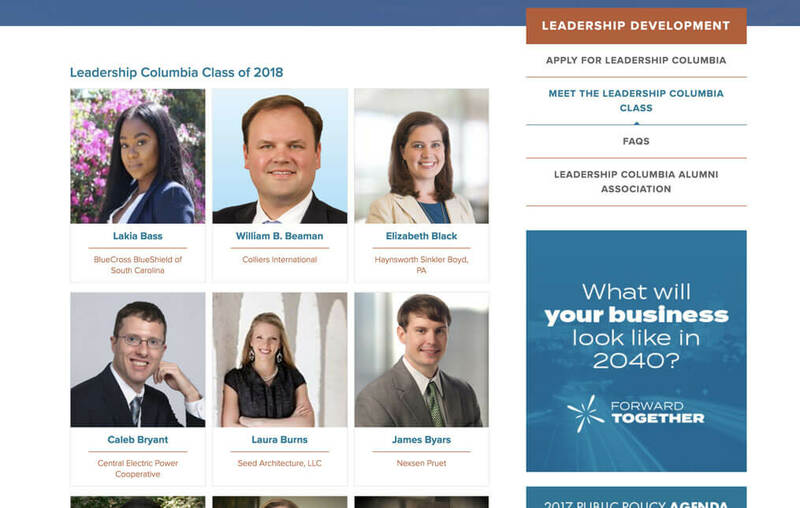 We are thrilled with the website and the incredible service Beam & Hinge provides.